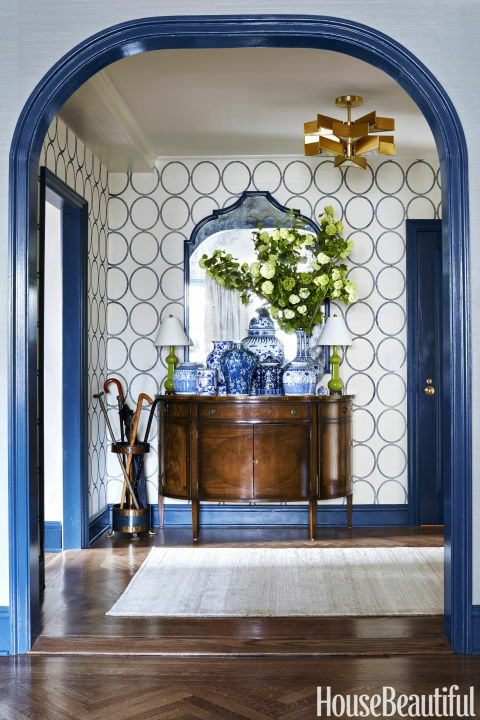 High gloss trim in Benjamin Moore Twilight is an unexpected choice that works beautifully with the Phillip Jeffries wallpaper and collection of blue and white Chinese porcelain. I am curious about houses that have a coloured trim. I wonder if the rest of the house they are all blue or have different colours to match the different rooms? Wish I could see more of the house!